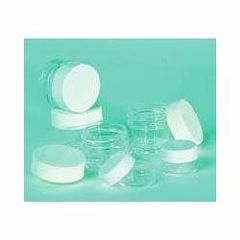 Qosmedix Medium 5 gram Jar with Thread Lid, 50 ct. These 5 gram jars are perfect for client samples and in treatment room uses. Clear bases with white lids.